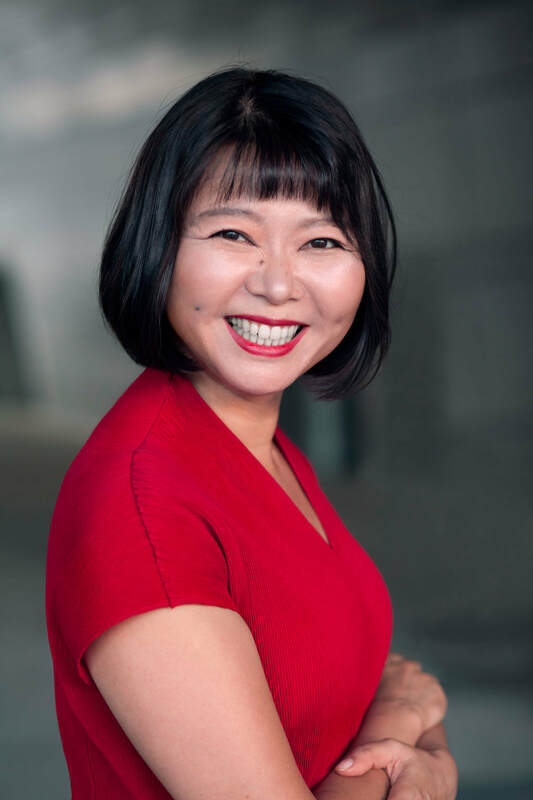 Karen Lyu is a sought after holistic voice expert and an award-winning jazz vocalist/songwriter/actor US expat now based in Seoul, South Korea. She is internationally respected for her eHow.com viral voice coaching videos on YouTube.com. She has taught absolute beginners to professional singers, speakers and actors ages 8-80 since 1997. 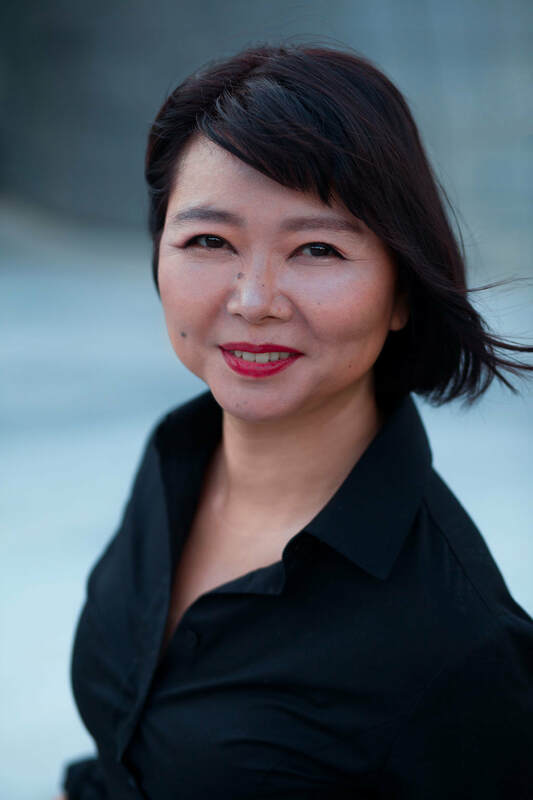 Her fun, compassionate, concise and results-focused voice trainings have been offered in the US and in South Korea at venues such as Korea Improv Theater, West Bank School of Music, Earth Mother Mind Jam, Doosan Corporation and online. Have you ever been frustrated by your voice? Do you cringe when you hear your voice--like when you hear a recording of yourself? Do people make fun of your voice? ​That used to be Karen Lyu years ago. This is her now - click here! Karen is the #1 Jazz Artist in Korea on Reverbnation (and recently #34 on the Global Jazz Artist charts)! Karen's passion for singing, and struggle with her own voice, have led her to over a dozen voice instructors--including Roberta Davis (Berklee School of Music) and Dr. Oren Brown (Juilliard), researching various methods--including Seth Riggs' Speech Level Singing and Dr. Morton Cooper's ("The Voice Doctor") and voiceover training with Don Cosgrove (The Talent Center), various holistic health workers, and over 20 years of voice coaching. Most recently, she earned John Henny's New Science of Singing voice instructor certification and Jim Kwik's Superbrain course completion certification. Because of her research and experience, Karen has been recognized as a voice expert by eHow.com, EzineArticles.com, VocalDisorders.org (formerly VoiceMatters.net), TRCB.com, TheModernVocalistWorld.com, StarTribune.com, Asian American Press and comedian, Russell Howard. Additionally, she is an international member of the Voice and Speech Trainers Association, a member of Toastmasters and was once a judge for the Hmong Idol USA national singing compeition. Karen loves to share what she's learned, and has inspired over 600 students to improve their voices! Karen has helped absolute beginners to untrained pro singers, speakers and actors, from students age 8 to 80 since 1997. She started singing professionally in 1993, and has explored all kinds of voice solutions since 1989. Born in Seoul, Korea, Karen grew up with her hard-working immigrant family (Mom was a registered nurse and Dad was an acupuncturist) in California, Texas, and Minnesota. She then got her Jazz Studies degree in Vocal Performance at Cornell College in Iowa, and also lived in Nashville, Tennessee. She now enjoys being an expat back in Seoul, South Korea, and has been fortunate to travel and perform in the US, South Korea, Europe, Southeast Asia, Central America, and Brazil. An award-winning artist, Karen has been fortunate to be a member of Karen Lyu & Fresh Jazz, Ben and Karen Duo, Yoo and Karen Duo, Pacha Mamas, Global Jazz, Morris Wilson Band, Via Brasil, Bomba, Karen Lyu Quartet, Robert Robinson's Minneapolis Community College Gospel Choir, Jazz Transit, Eddie Piccard Trio, and also has sung as a solo vocalist since 1993. Karen's singing has been featured on National Public Radio, documentary film, TV, radio, cable, and on all kinds of stages. 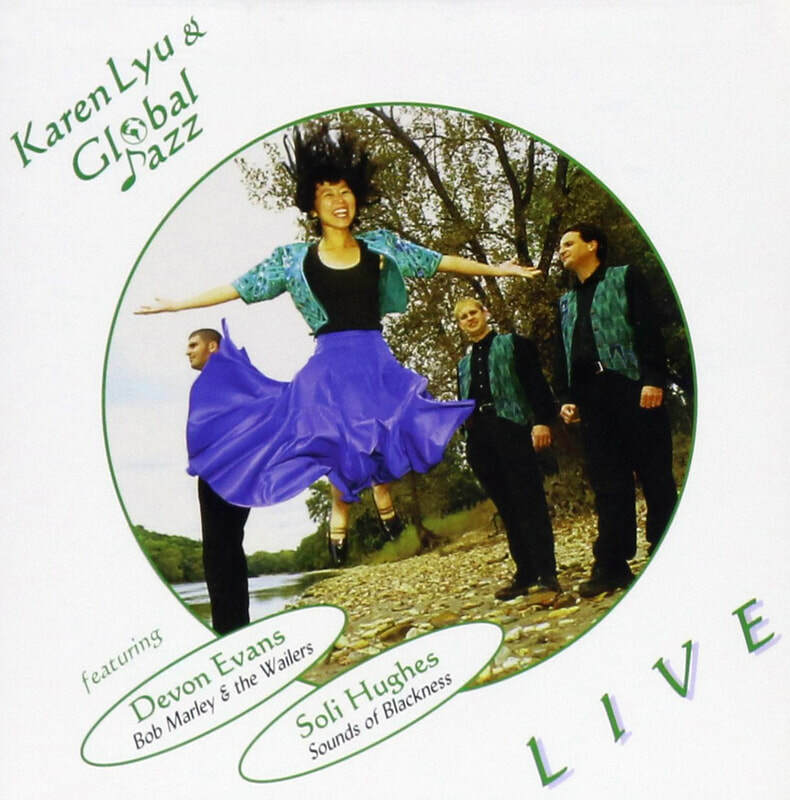 She has 2 of her own recordings - Karen Lyu and Global Jazz Live! 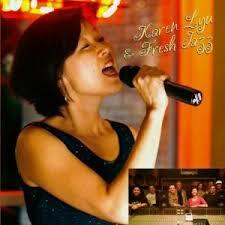 and Karen Lyu and Fresh Jazz - and also has recorded with a number of other artists, groups and compilations over the years. And, Karen is the first Korean-American jazz singer ever to record in the US. As an actor, she has experience acting in diverse roles for short film, musical theater, plays, DVDs, and online video (www.backstage.com/u/karenlyu)​. Most recently, writer/director/producer/actor, Karen, and her talented, international Jasmine Productions cast and crew, created a crowd-pleasing, inspiring and hilarious original short film ~ www.strangerangels.net (now on IMDB.com)! As for honors, in 2010, she received a NashvilleMuse songwriting award and a MusiCares/Grammy Foundation emergency grant. In 2007, Karen won another 2 awards. 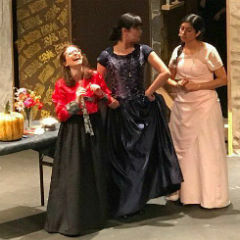 A Minnesota State Arts Board cultural collaboration grant was given to Karen and to Maryam Yusefzadeh to create and produce an original musical called "Memories and Media Myths of Iran and North Korea". And as a vocalist, Karen won 3rd place and a mini-refrigerator at the annual Nye's Polonaise Polish Idol singing competition finals in Minneapolis, MN. Also, in 2006, she received a nomination for Best Arts Article at the National Ethnic Media Awards, as an arts writer for Asian American Press newspaper in St. Paul, MN. 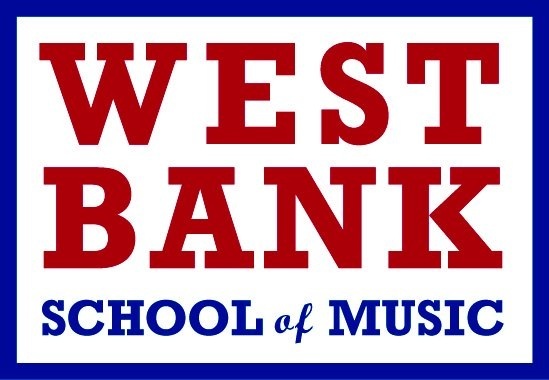 In addition, Karen has offered group learning experiences for various topics, such as "How to Sing Jazz", "If You Can Speak, You Can Sing", "News Anchor English", "How to Prevent Losing Your Voice", and "Empower Your Voice for Women" at West Bank School of Music, Dreamland Arts, Walker Community Church, One World Festival, Pronoia Fest, Doosan Corporation, Yoons School of English, Korea Improv Theater, her former independent studio and by teleconference. * Seoul Tunes - A Minneapolis singer sticks to her dreams, continues a jazz vocal career in Korea.